You never know who to trust nowadays, and that’s largely true for the kid-friendly version of YouTube. While it claims to host content that not only promotes fun and learning among children but is also extremely child-safe, increasingly disturbing evidence to the contrary is bound to change how you view the app’s commitment. Naturally, the video horrified Hess, who immediately took to informing other parents about it via her blog. Parental control is more important than ever before, but as it happens, even that may not be sufficient. YouTube has a straightforward course of action for dealing with disturbing content like this; the video in question gets flagged by concerned viewers, which then brings it to a human moderator’s attention who ultimately determines whether the content should be banished from the platform or not. Advocating for suicide isn’t the only thing on YouTube’s ‘child-safe’ app that has raised eyebrows. There is, for instance, no dearth of videos on the platform displaying aggressive acts of violence, even if they are presented in a manner that can make it hard to take it seriously. 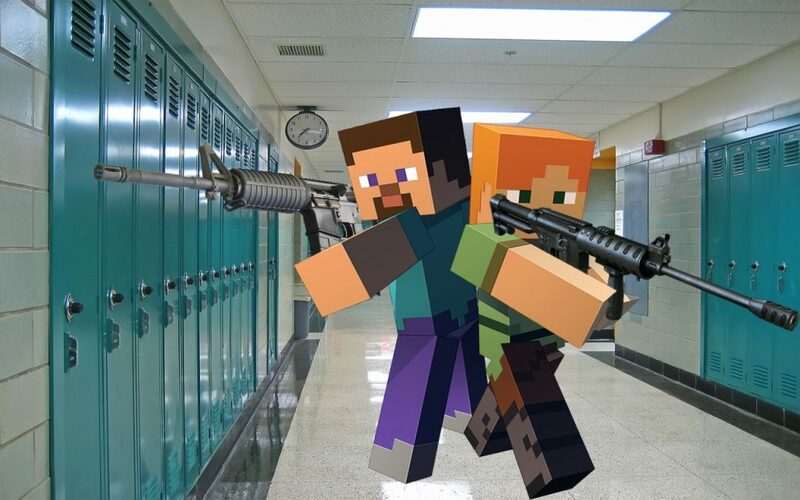 A clip about the popular game Minecraft features adult language, followed by a low-resolution scene of a school shooting. Yet another example of unsettling content on YouTube Kids is videos portraying human abuse and trafficking. This anime-style video, for example, shows two male characters exchange a visibly abused and mistreated female character. Of course, the worst part is that content like this is all too easily accessible to children. If YouTube is serious about making it safer and simpler for kids to explore the world around them, it has a long way to go. To start with, imposing stricter controls is imperative, and there is a need to constantly tweak the system in order to ensure that it does not get surpassed by the malice that has become a very significant part of the Internet.